Everyone has his or her belief and disbelief. The reason for pilgrim spots gaining prominence is due to the belief in people as they consider making such pilgrimage is an essential part or duty of their life. While some places that are attached pilgrimage status have temples and more temples of historical importance, some have temples and other attractions that are connected to history, cultural heritage and sometimes entertainment as well. Pushkar in Rajasthan is one such place. Journey to Pushkar is considered the ultimate pilgrimage as it is said that after visiting four spiritual places in the country, Pushkar has to be visited to attain salvation. Spiritual importance apart, Pushkar offers feast to your eyes and spirit to your minds with its stunning beauty and various entertainments. 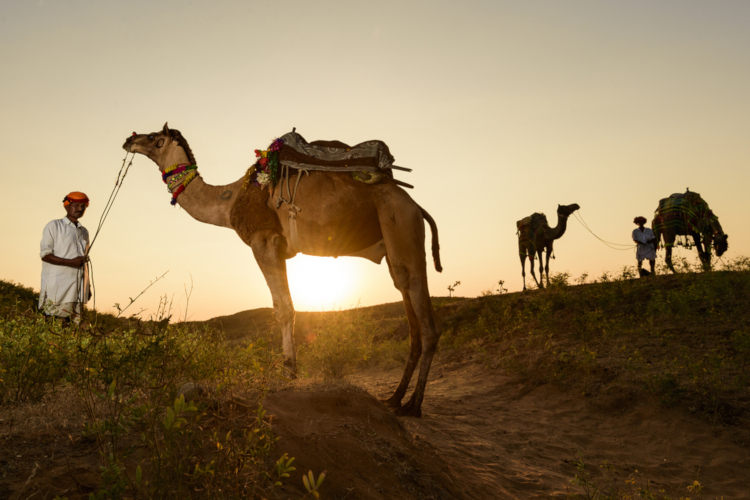 Here are the seven places to visit in Pushkar. It gains importance among spiritual travelers who aim to have a holy dip in the lake, which is considered a holy place and the King of ‘Tirthas’. It is believed that having a holy dip here is equivalent to doing meditation and prayer for a hundred years. Hence, this is most frequented by people who follow a particular faith. For others and including the religious people, this place is a beauty in itself. Surrounded by 400 temples and 52 palaces, the lake still looks serene and calm. The place is unique and the sunrise and sunset are beautiful to watch from here. Opening Timings: The summer timings (5 am to 1:30pm & 3pm – 9pm ) and the winter timings (5 am to 1:30pm & 3pm – 8:30pm). Those who follow Hinduism believe that Lord Brahma is the Creator and worship him. In spite of the importance attached to Lord Brahma, there are only three temples for him all over the world and only one in India. 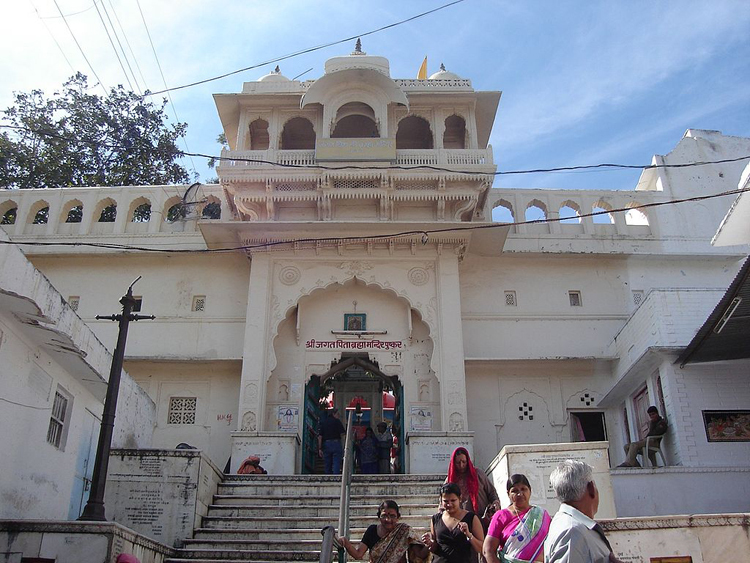 Pushkar gains additional importance as Brahma Temple is seen here. The temple and its surroundings are unique. The temple structure is built of marble and it is beautiful. 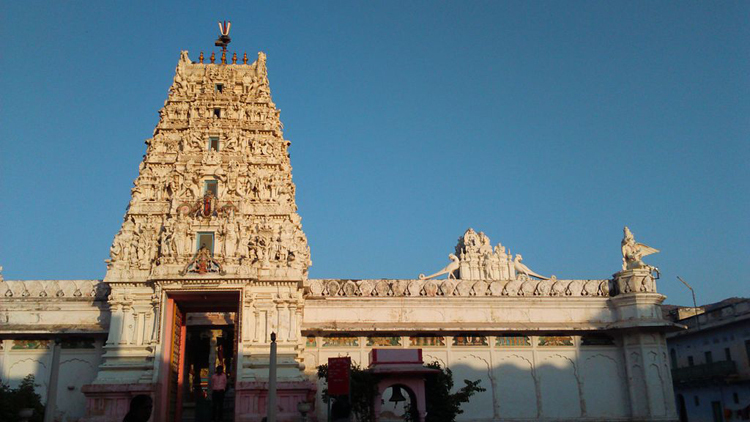 Though Pushkar has many temples, Brahma Temple stands apart for its magnificence. Famous for: Pilgrimage, Photography, Viewpoints. Opening Timings: Open all days (5am to 12 pm & 4pm to 9pm). Perched on Ratnagiri hill behind Brahma temple, Savitri temple is one of the most visited temples in the city. It is a part of an interesting legend and is one of the few temples dedicated to Goddess Savitri, the first wife of Lord Brahma. A half an hour trek would lead you to this beautiful temple and would also provide some breathtaking views of the city. Opening Timings: Open all days (6:30 am to 8:30 pm). 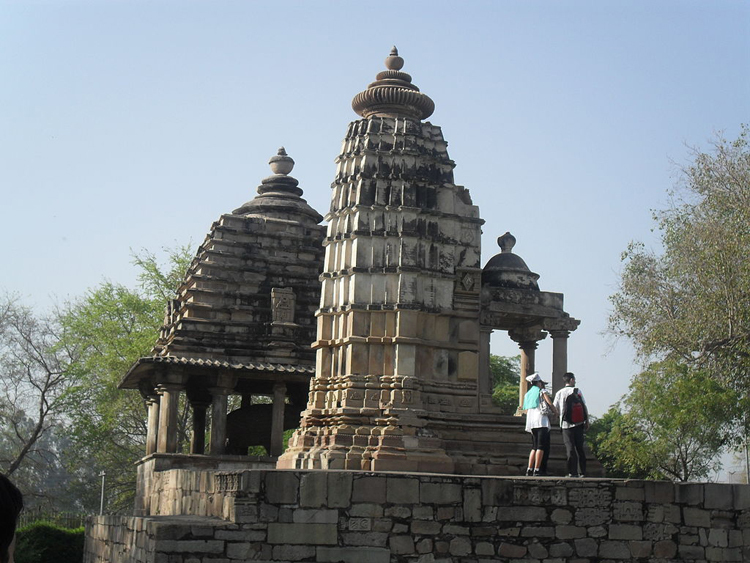 Apteshwar Temple was famously built by Lord Brahma himself to appease Lord Shiva. It is built right next to Brahma temple inside a cave and can be easily visited enroute to Brahma temple. This temple too is a part of an interesting folklore and therefore an important pilgrimage site for the devotees of Lord Shiva. Famous for: Pilgrimage, Photography, Architecture. Among one of the very rare temples devoted to the varaha incarnation of Lord Vishnu, Varaha Temple is worthy a visit due to its uniqueness. According to a legend, it was part of a main temple destroyed by Aurangzeb and the evidence of the same can be found nearby. It is also one of the oldest temples around Rajasthan, as is evident by its architecture and current state. It’s closeness to the main city and the nearby markets make it easily accessible. Opening Timings: Open all days (6am to 7pm). A stunning architectural marvel, Rangji temple is an amalgamation of Mughal, Rajput and South Indian architecture. This temple is devoted to an incarnation of Lord Vishnu, Rangji and is always filled with worshippers. 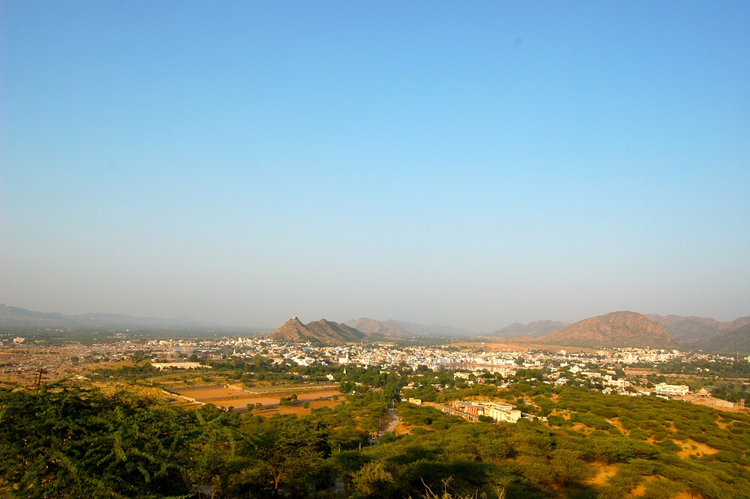 Due to its proximity to the old markets of Pushkar, many western visitors also come here while exploring the city. Famous for: History, Nature, Photography. Opening Timings: Open all days (9 am to 5pm). Man Mahal is a magnificent palace constructed by Raja Man Singh of Amber. It is situated on the eastern side of Sarovar. The palace flaunts the uniqueness of Rajasthani style of architecture. It is now used as a tourist bungalow and it is under the control of Rajasthan Tourism Development Corporation. Other attractions around this holy city include Merta, Singh Sabha Gurudwara, Pushkar Cattle Fair, Pushkar Camel Safari Tour and Pushkar Meditation Temple. 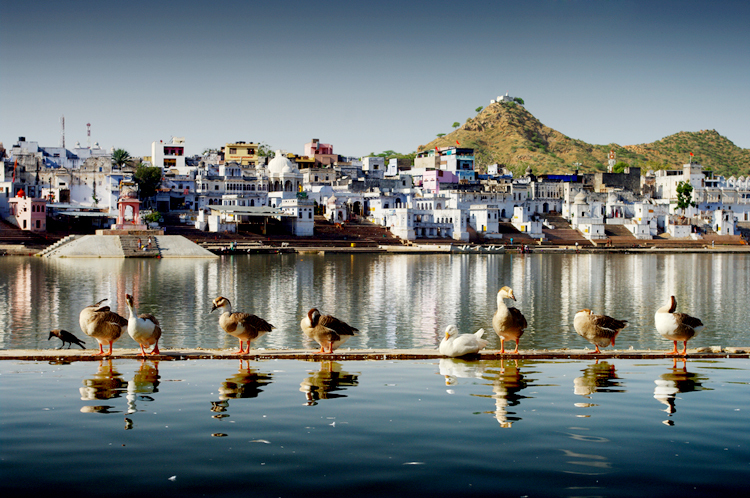 Pushkar has religious value, historical importance and of course abundance of natural beauty. It all depends on how you would like to customize your stay and Pushkar stretches for you to offer what you need. Apart from Pushkar, there are many other tourist destinations in Rajasthan; please visit popular tourist destinations in Rajasthan to learn more. this is wonderul place in rajasthan.